Hungry bears emerging from their winter hibernation are often attracted to bird feeders. To avoid problems with nuisance bears, the Department of Natural Resources advises Michigan residents to take bird feeders down temporarily until natural food sources become available. Although it is still quite cold outside, Michigan’s wildlife knows the spring season is here (based on the increase of daylight hours) and is beginning to wake up from its winter hibernation. Bears are one of the animals starting to emerge from their dens. 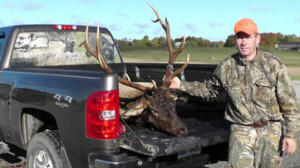 Food and mating are the two drivers behind the increase of wildlife that Michigan residents may be seeing lately. Since bears typically mate in June or July, food is the primary cause for the increase in bear activity during the spring. 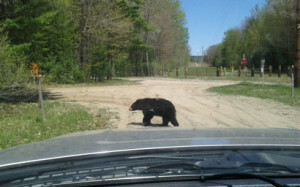 Each spring, as bears leave their winter dens and resume daily activity, wildlife officials begin receiving calls about bear sightings and even the occasional bear damaging bird feeders, trash cans and grills. Birdseed is especially attractive to bears because of its high fat content and easy accessibility. 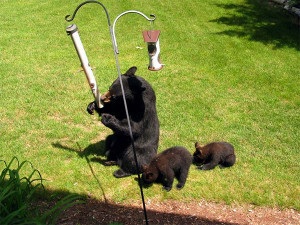 Once bird feeders are discovered, bears will keep coming back until the seed is gone or the feeders have been removed. Bears that are rewarded with food each time they visit a yard can become habituated to these food sources unintentionally provided by people. This can create an unsafe situation for the bear and become a nuisance for landowners if a bear continuously visits their yard during the day and repeatedly destroys private property in search of food. DNR Wildlife Division staff members are unable to respond directly to each nuisance bear complaint, and instead ask that landowners do their part to help reduce potential food sources in their yards first before calling for further assistance. 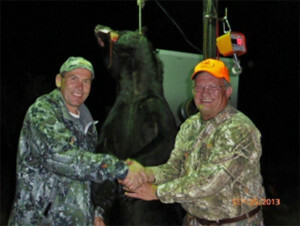 The trapping of nuisance bears is only authorized by DNR wildlife officials in cases of significant property damage or threats to human safety when other techniques have failed. 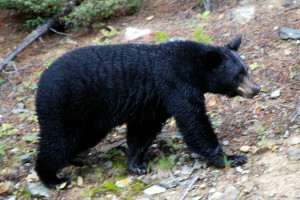 Anyone who is experiencing problems with nuisance bears and has taken the appropriate action to remove food sources for a period of two to three weeks, but has not seen results, should contact the nearest DNR office and speak with a wildlife biologist or technician for further assistance. For more information, go to www.michigan.gov/bear. A 7-foot, 250-pound, hand-carved bear statue that was stolen from in front of a business in Montcalm County has been recovered. According to the Montcalm County Sheriff Department, the unique bear was stolen sometime during the evening of Sunday, July 17, from in front of Distinct Discovery Homes, 8091 W. Peck Road, northeast of Greenville. After seeing a story on the incident on a local news station, the suspect called police. The statue was recovered by deputies about 10 miles away at the home of a teenage boy. The bear’s arms were missing and its face was damaged. The Sheriff department said that media coverage of the incident played a substantial role in recovery of the bear. The suspect is expected to be charged with larceny.